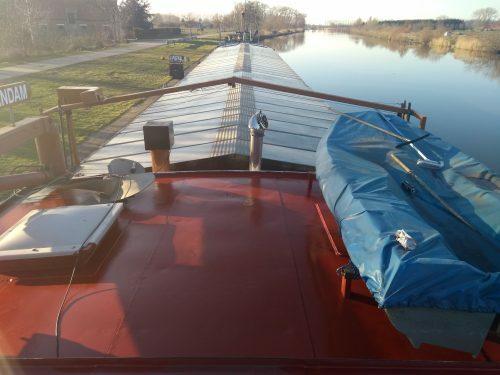 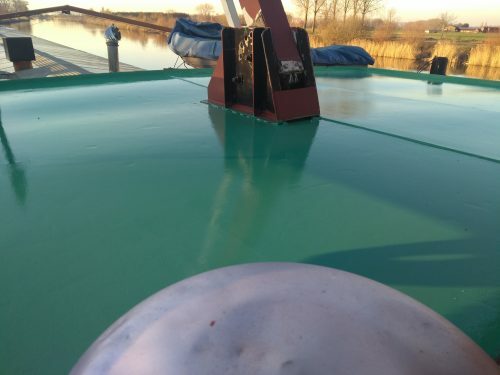 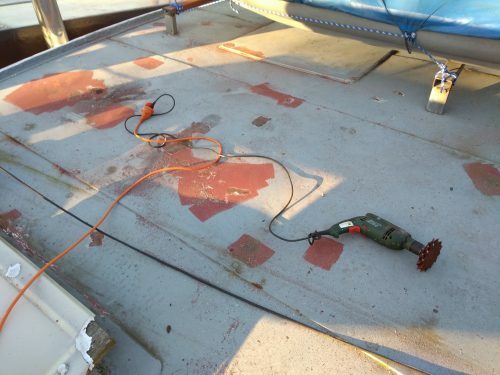 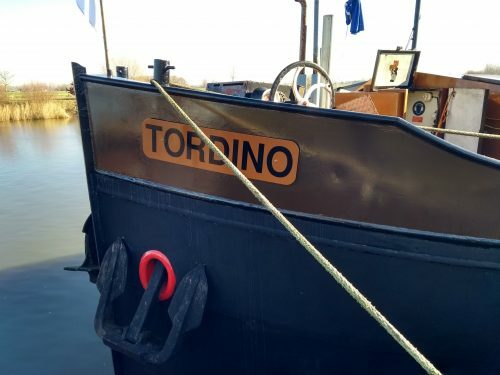 26th February 2019 – The initial plan today was to move the Arma back on her mooring. 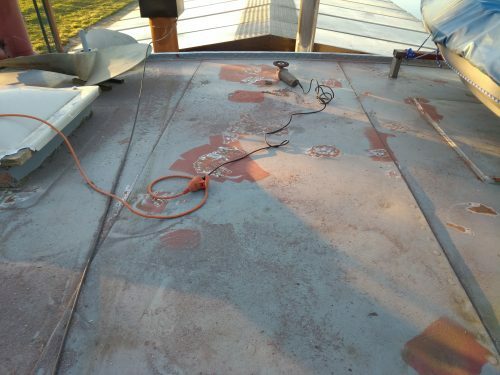 The yard wasn’t finished so I continued with the roofs of the cabins. 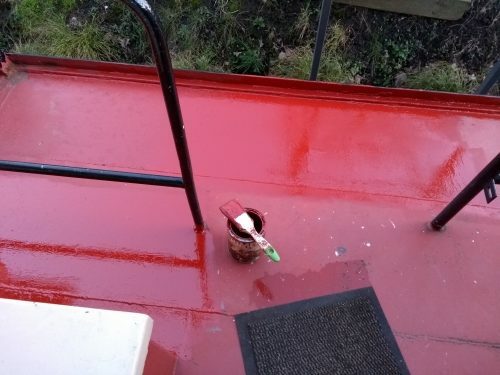 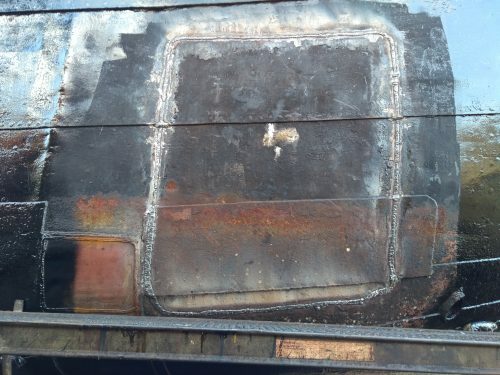 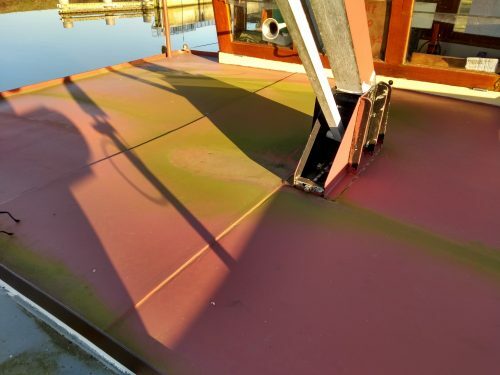 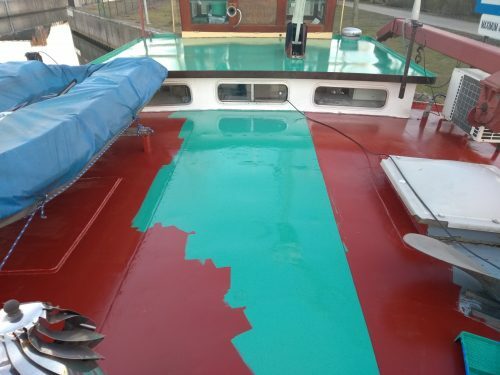 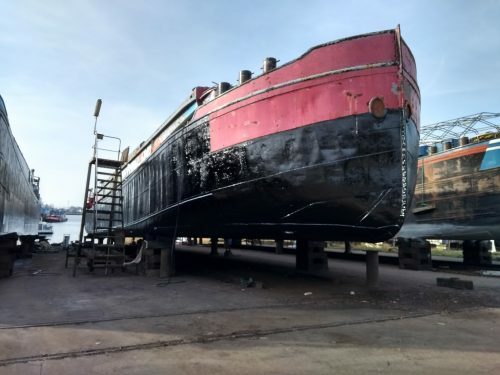 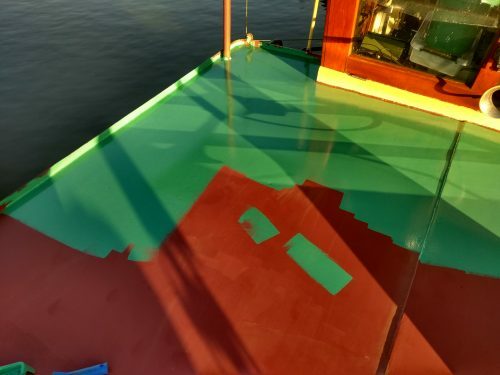 25th February 2019 – I removed the old paint and some rust from the roofs of the cabins near the wheelhouse. 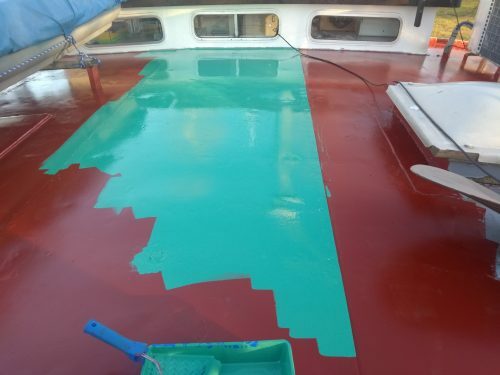 Painting will be for tomorrow. 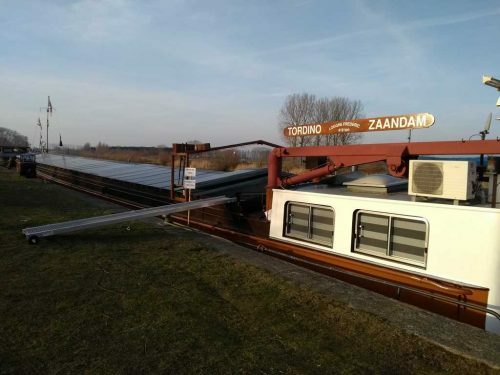 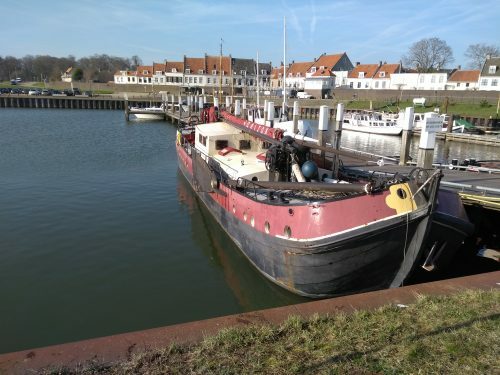 23rd February 2019 – I went to Wijk-Bij-Duurstede, had a meeting and made a drive around, took some pictures and went to Zelzate to the Arma. 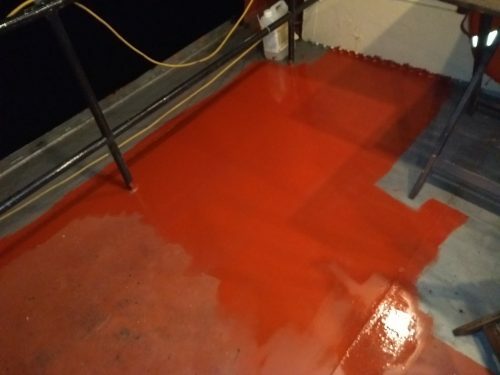 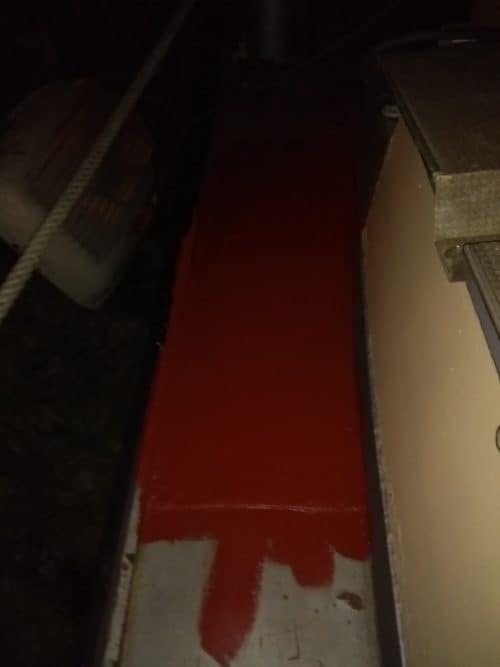 20th February 2019 – A few small paint jobs were done this evening: mast, parts of the deck and the stairs to the wheelhouse. 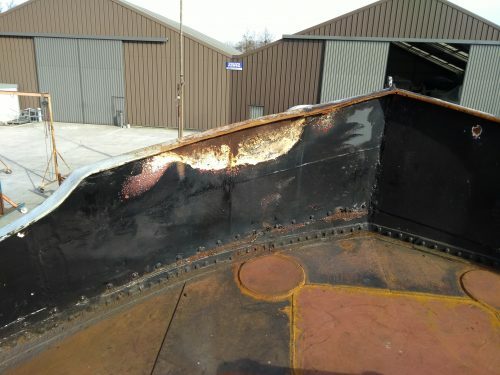 19th February 2019 – The Arma was launched on Monday. 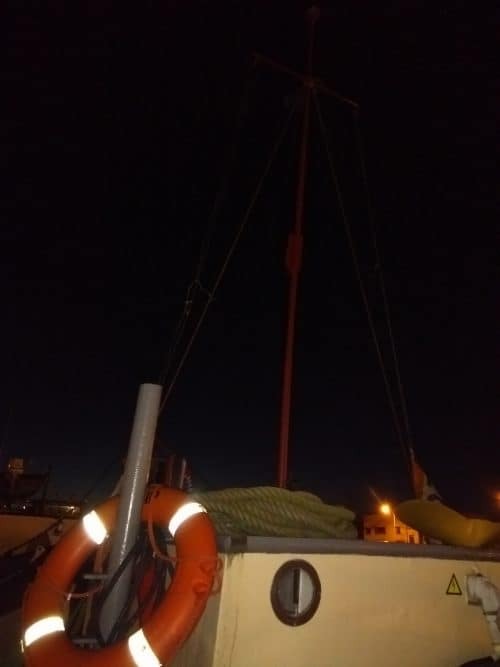 When we arrived, the yard was still working aboard getting everything done. 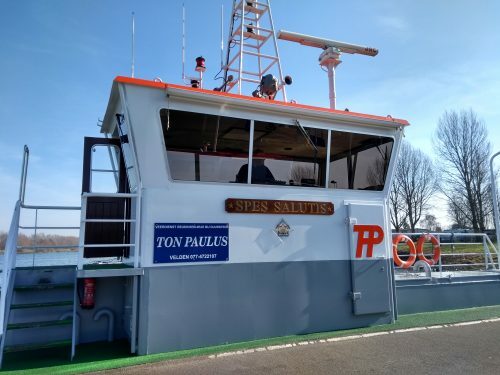 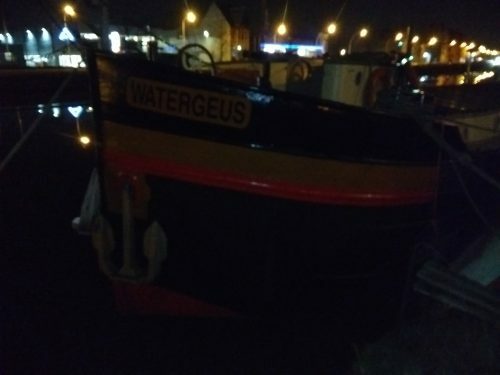 16th February 2019 – After more than fourteen years, there are new namesigns on the bow of the Watergeus. 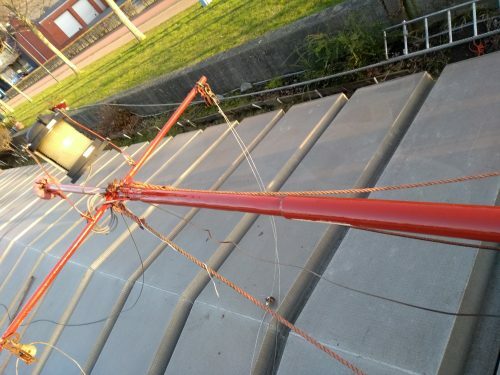 16th February 2019 – Besides being open for an extra day, I mounted the new statieplank on top of the car crane, like it used to be the last thirty years. 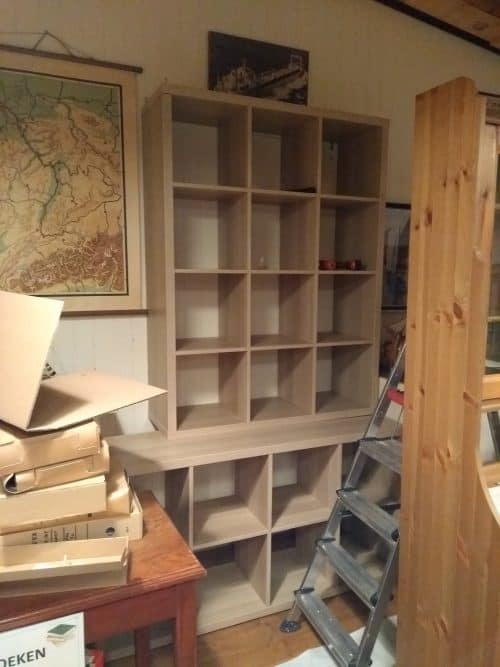 In the Library, we moved some furniture and in the museum, new objects were added. 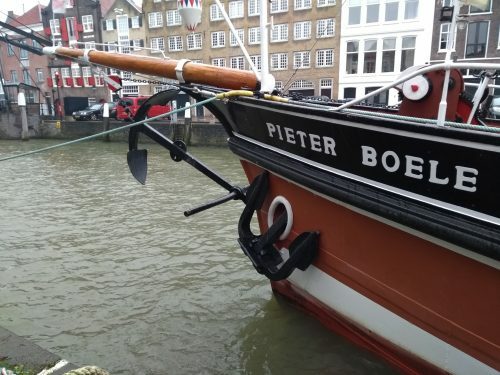 15th February 2019 – The namesigns on the bow are back. 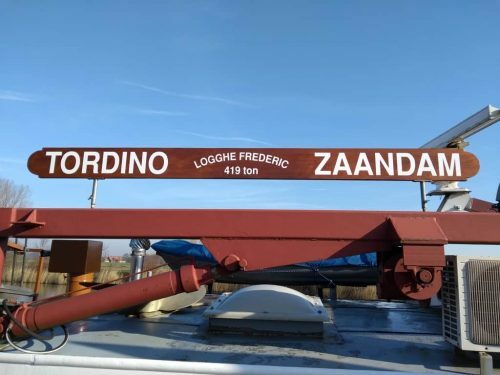 New paint and new letters. 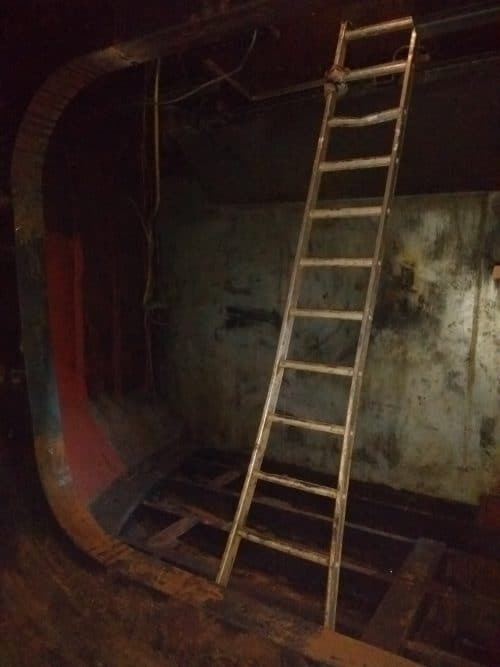 Looks good! 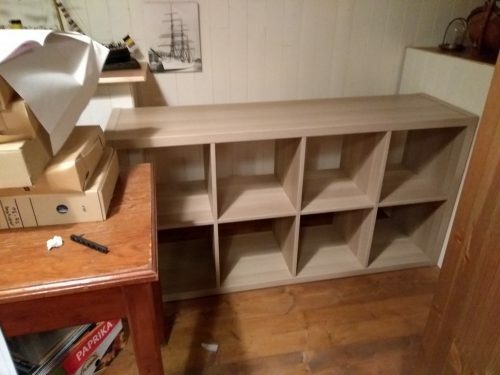 In the afternoon, I built some Library furniture to put the books I recently acquired. 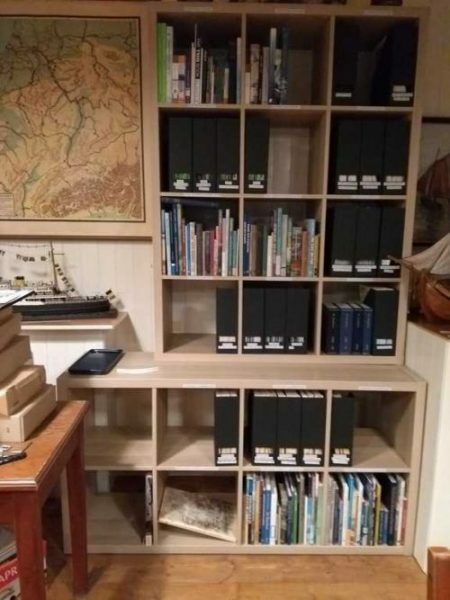 I never tought I would have to buy that many furniture for the Library. 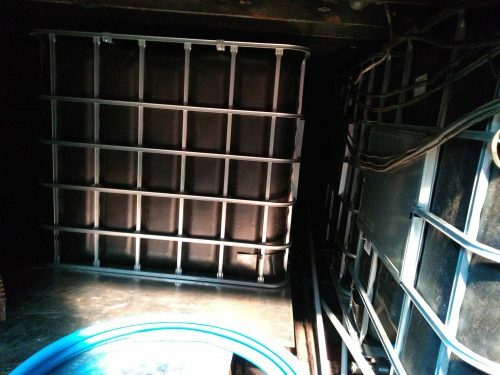 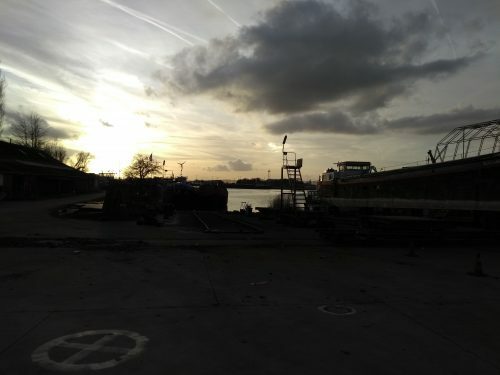 13th February 2019 –I was surprised to see how much progress was made. 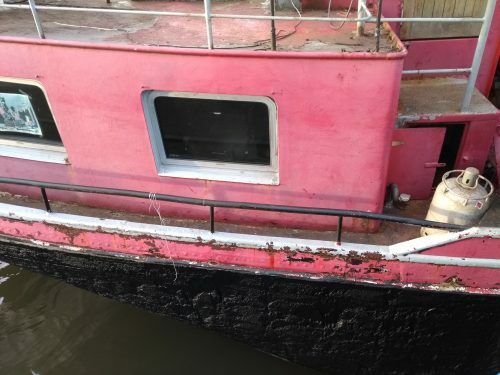 The hull was painted, the windows mounted at the front on deck and the engine room was closed. 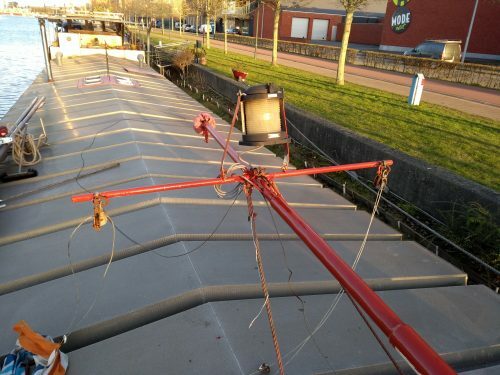 Water tanks were in position and the people of the yard were doing the fittings. 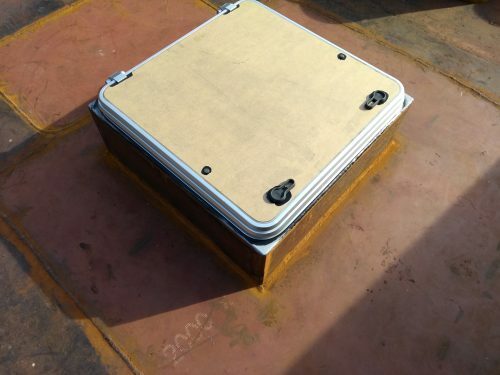 A nice project for its purpose. 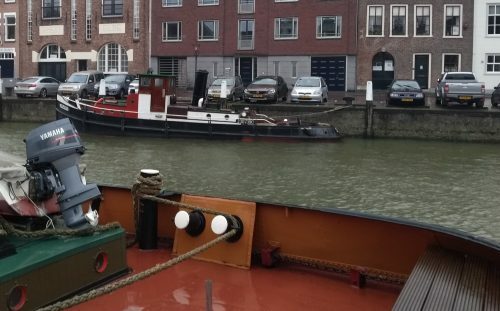 2nd February 2019 – We went to Dordrecht. 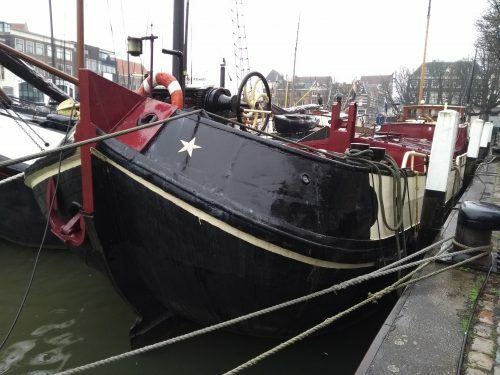 A visit to the museum in the morning and a a tour in the museum harbour in the afternoon. 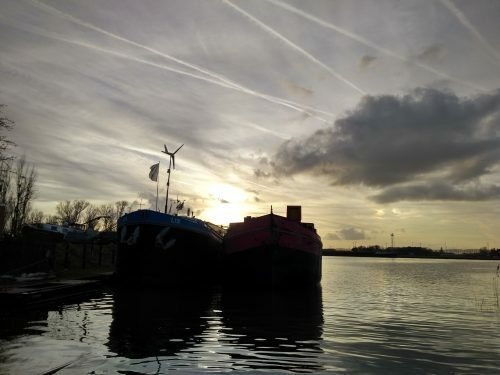 Sadly enough the weather wasn’t on our side.